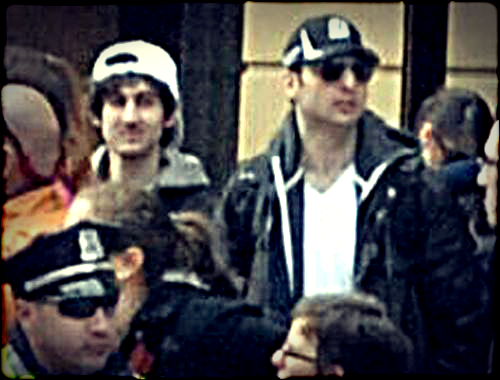 While amnesty advocates are exploiting the horrific Boston Marathon attack as justification for quickly passing an amnesty, the Center for Immigration Studies finds that the failed FBI background checks of terrorism suspect Tamerlan Tsarnaev indicate that the government does not have the capacity to adequately vet the backgrounds of 11 million illegal aliens, and that an amnesty might actually facilitate terrorism. [The FBI] actually interviewed [Tsarnaev], they interviewed neighbors, they interviewed relatives, and there were no red flags raised. They were doing the best they could do with the information they had, but they uncovered absolutely no facts here that raised the matter to a level that this man should get 24-hour surveillance, or any of the other things that are available to the FBI to watch them. The fact is that today there are 11 million people already in this country and we don't know who they are, why they're here, and what they're doing. That is not only an economic problem, it's a huge national security problem as well. But the background checks in the Schumer-Rubio bill will be much less rigorous than the background check conducted by the FBI on Tsarnaev. The bill's background check provision does not require face-to-face interviews with immigration officials. No provision requires an applicant's neighbors or family members to be interviewed, and an applicant's internet activity certainly will not be analyzed. Even with face-to-face interviews, the 1986 amnesty (Immigration Reform and Control Act) still resulted in massive amounts of fraud; it is estimated that 25 percent of all amnesty recipients, or 700,000 individuals, acquired legal status fraudulently. The fraudulently amnestied aliens included 1993 World Trade Center bomber Mahmud Abouhalima who used his new status to travel freely to and from the Middle East to pick up terrorist training. Had immigration law been enforced, he would have been removed from the country as an illegal alien visa-overstayer and the attack might never have occurred. The grant of citizenship and travel documents facilitated his terrorist training overseas. The attack killed six and injured over 1,000 people and caused over $500 million in damage. It is important to remember that illegal aliens have taken part in almost every major attack on U.S. soil perpetrated by Islamic terrorists, including the first attack on the World Trade Center, the Millennium plot, the plot to bomb the New York subway, and the attacks of 9/11. Other foreign-born terrorists have been Legal Permanent Residents, asylum applicants, and naturalized citizens. The U.S. immigration system has failed to protect Americans on many occasions and it is unlikely Schumer-Rubio will benefit public safety. Within six months of passage of the Schumer-Rubio bill, illegal aliens would be entitled to driver's licenses, travel documents, Social Security accounts, and a significant number of state-level benefits.